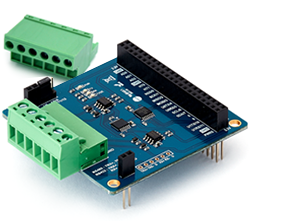 PHPoC Expansion Boards provide the additional hardware (such as Breadboard, RS232, RS422, RS485 and so on) to enhance capabilities of PHPoC IoT Board, and standardized connectors and sockets (such as 3-pin interface, Grove interface, mikroBUS™ socket, pitch terminal block and so on) to create the firm connection to external devices. 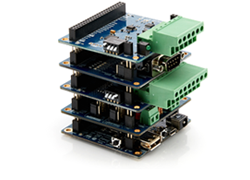 This board is stackable on PHPoC IoT Board. 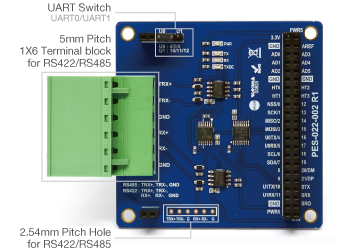 Pinouts of expansion board connect directly to pins of PHPoC IoT Board. Proto Board allows users to solder the electronic components on it, brings convenience when prototyping. 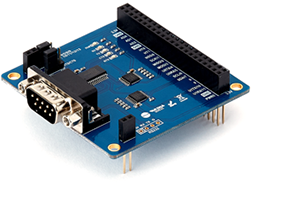 This board is stackable on PHPoC IoT Board (PHPoC Black and PHPoC Blue). 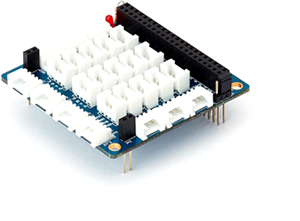 Bread board is designed to make prototyping much easier. 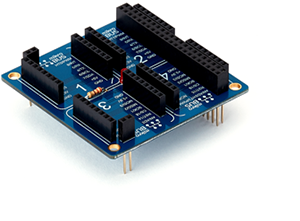 This board can be used to quickly test circuit or realize idea without having to solder. 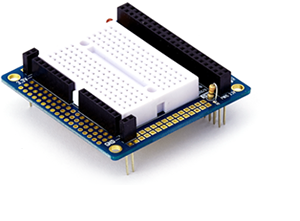 This breadboard is stackable on PHPoC IoT Board (PHPoC Black and PHPoC Blue). 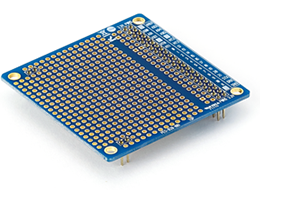 Additionally, some small solderable areas are available to solder when needed. 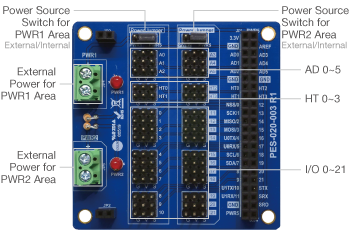 PWM and Sensor Expansion Board offers 3-pin interface, one useful hardware interface to connect motors, sensors or I/O devices to PHPoC IoT Boards. 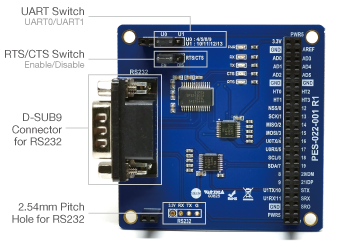 This board gives the option to switch to external power sources in applications that require a lot of power such as multiple high-weight servo motors. 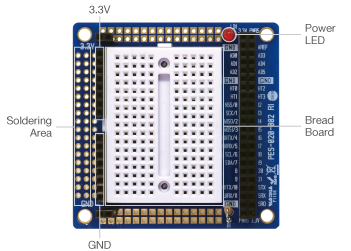 This board is stackable on PHPoC IoT Board (PHPoC Black and PHPoC Blue). 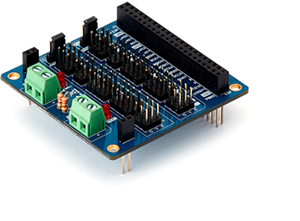 mikroBUS™ socket is a connector used to connect mikroBUS™ sensors and actuators to micro-controller. 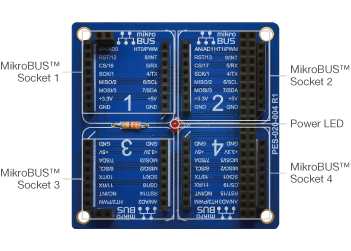 PHPoC mikroBUS™ Expansion Board provides four mikroBUS™ sockets, allowing neat and easy connection of a PHPoC IoT Board to mikroBUS™ components without the need of soldering and wiring. 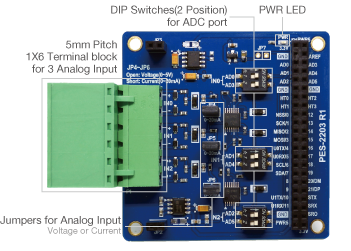 This board is stackable on PHPoC IoT Board (PHPoC Black and PHPoC Blue). Grove connector is a four-pin standardized connector used to connect Grove sensors and actuators to micro-controller. 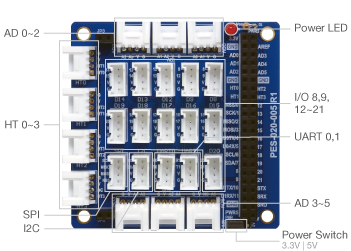 The PHPoC Grove Expansion Board provides up to 25 Grove connectors, allowing neat and easy connection of a PHPoC IoT Board to Grove components without the need of soldering and wiring. 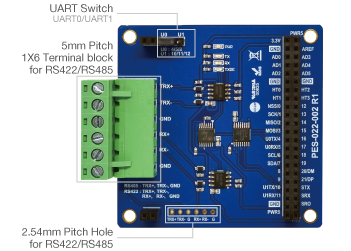 This board is stackable on PHPoC IoT Board (PHPoC Black and PHPoC Blue). 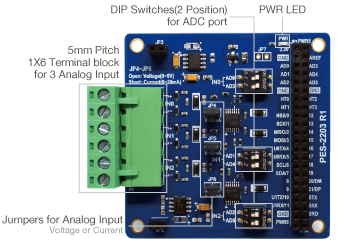 Analog Input Board is a board that provides connectors between ADCs of PHPoC IoT Board and external sensors/devices to measure voltage and current values of the sensors/devices. Embedded with protection circuits, it is protected from external electric shocks. Two different types of 5mm pitch terminal blocks are available, based on the direction of the terminal screws. S-type can be screwed from the side, convenient when the multiple boards are stacked. T-type is screwed from the top of the board. The wire termination blocks are on the side of the board in both models. 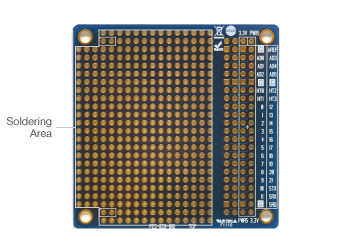 This board is stackable on PHPoC IoT Board (PHPoC Black and PHPoC Blue).